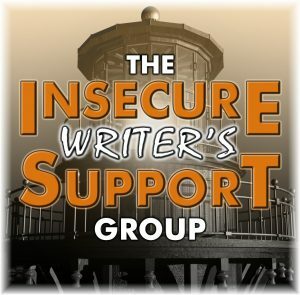 The Insecure Writer’s Support Group is a judgment-free presence in your author life. Tell us about your doubts or fears, and how you have conquered them. Bring us in on your struggles and triumphs. Offer a word of encouragement for others who might be struggling. Visit and connect with your fellow writers. The group aims for a dozen visits each IWSG Wednesday. And make sure to return comments. This group is all about connection! Our question for this month: If you could use a wish to help you write just ONE scene/chapter of your book, which one would it be? Just ONE wish? I’d use it to write the scene I’m stuck on right now. Since it’s emphatically one wish, I might as well use it for the current WIP and the current scene. I could save it, of course, for the next time I get stuck. That would be sensible. But the fact that I will get stuck again is a) beyond dispute and b) impossible to predict. I might hang onto my wish and not need it for years. I might need it next week. No, I’d rather just use it the once, be grateful for the help, and then keep plugging on like I usually do when I’m wish-less. have I tortured my characters enough? I mean, really. What is the point of this all? 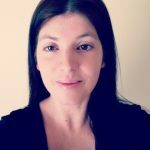 why did I want to be an author, again? that’s why the beach is so damn crowded. Maybe not the beach. Such smart advice, S.E. Thanks so much for sharing this with IWSG. I do a lot of your suggestions already. I’m going to add some other ones now. All the best with your writing in progress. I hope you get through your current struggles. I sympathize. I was struggling with my chapter and then heard a talk about an author who said there had to be problem in each chapter that gets solved but creates more problems or is not solved and things get worse. That’s helped me for now. Definitely super helpful to keep in mind as I’m going! Always happy to do so! And to promote the idea of Matthew McConaghuey on the beach. Yum. Interesting! I’d never heard of this app. Or thought of the idea of talking through a block. That’s very much worth a try, thank you! The scene we’re currently stuck on is always the hardest! You’ll probably get better results out of Austen. She was such a nice, sensible novelist. The only thing I’d add to the list is “work on something else” that keeps me in the habit of writing, and lets whatever problem I have simmer. LOL Austen does seem much more sensible, you’re right. Definitely add work on something else to the list! Keeping up the habit of writing is something I need to work on.